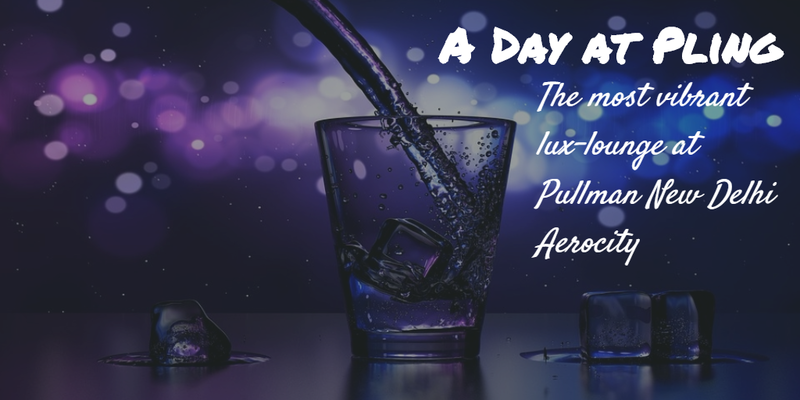 On my last visit to Pullman New Delhi Aerocity a couple of weeks ago, I had the chance to visit Pling, a vibrant lux-lounge situated at the hotel's lobby level. 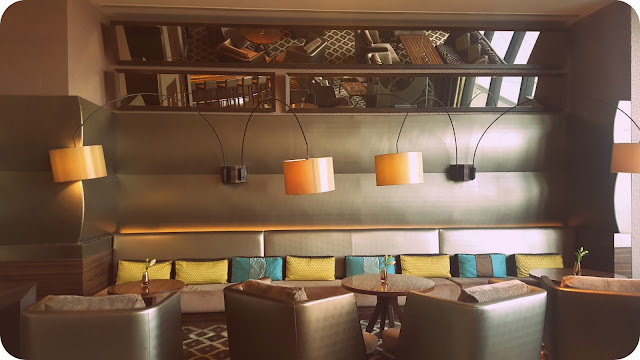 Drawing its name from the sound of ice dropping in a glass filled with drink, the elegant yet tranquil lounge-bar connotes good times and laughter. 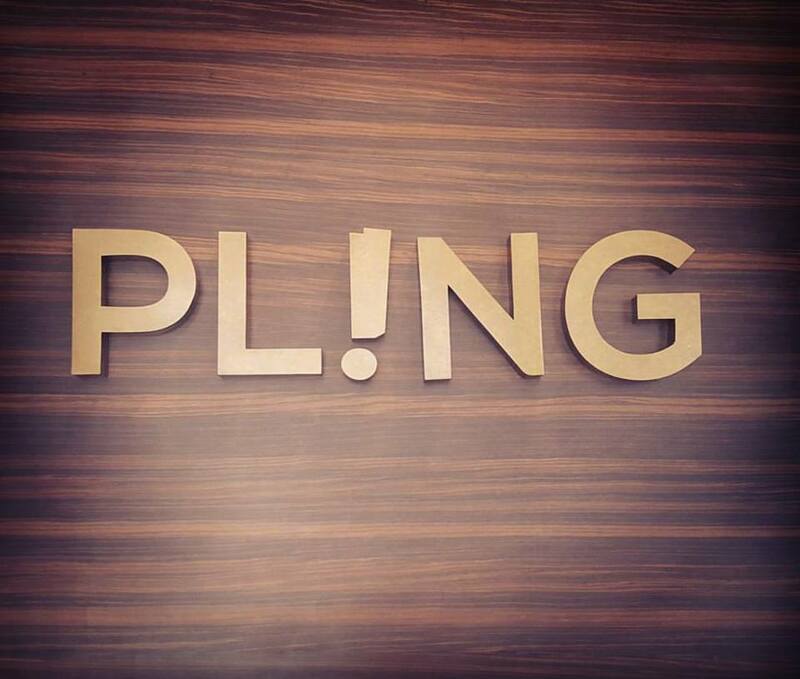 If you're looking for a high-end lounge-bar experience with live music and exclusive club style services, Pling is the place to be! 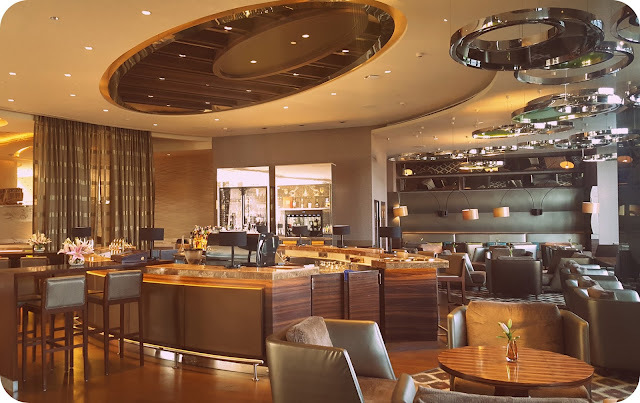 Pling offers a sumptuous assortment of hors d'oeuvres and tapas while housing the signature 'Vinoteca by Pullman' - an international wine selection by the glass or bottle. 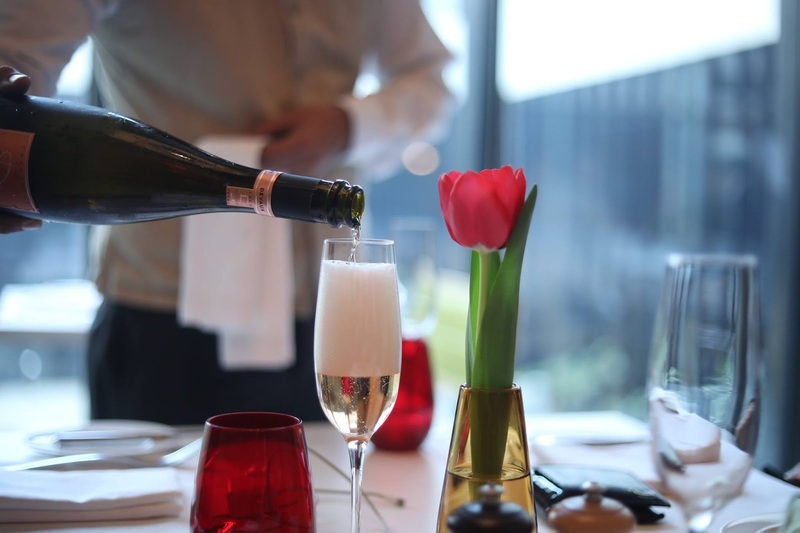 As a concept, Vinoteca is synonymous with Pullman across the world, providing modern-day travelers a minimum selection of ten wines and two champagnes served by the glass. The selection changes from time to time to vary the offering. At Pullman, wine is considered to bring people together - an ice-breaker, a conversation starter - and therefore appropriate wine preservation systems to store and serve wines by the glass effectively are in place. Hit the bar at Pling after work or meeting, before returning to your room, at cocktail time, or after dinner - a glass of wine always seems to do the trick! Pullman encourages you to try as many wines as possible. And while you're at it, make sure to ask the mixologists to serve you some refreshing cocktails and mocktails made using fresh, homemade syrups with herbs from the in-house farm. Head Mixologist, Topesh Chatterjee, can show you how to have a good time with a range of martini cocktails, inspired by the James Bond movies. 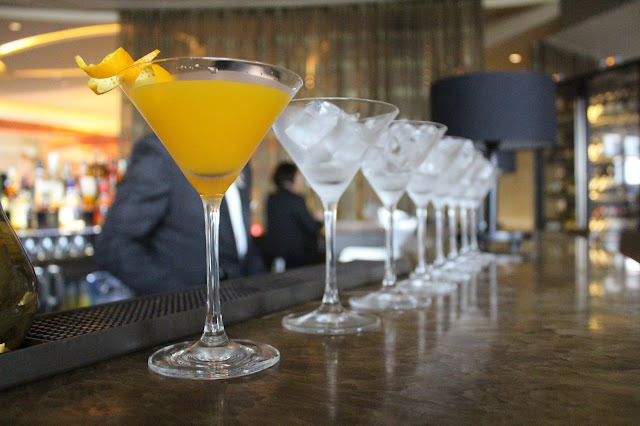 Drop by Pling and order martini, the way Bond likes it - shaken, not stirred. Here is a list of my favorite drinks at Pling. Amalia - Legacy by itself, this cocktail is a fitting tribute to Amalia Bacardi. Contains a concoction of apricot jam, Earl Grey tea reduction, and Bacardi. 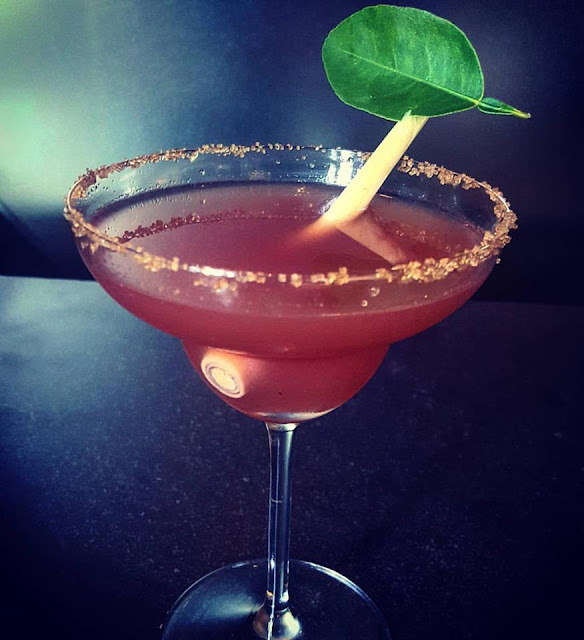 Ananda Brew - An amazing creation by itself, this cocktail contains Vodka and hand plucked teas from the Ananda region in Assam. Grape Year - Creating an outstanding character by itself, this classic mocktail is made from breakfast compotes and preserves. 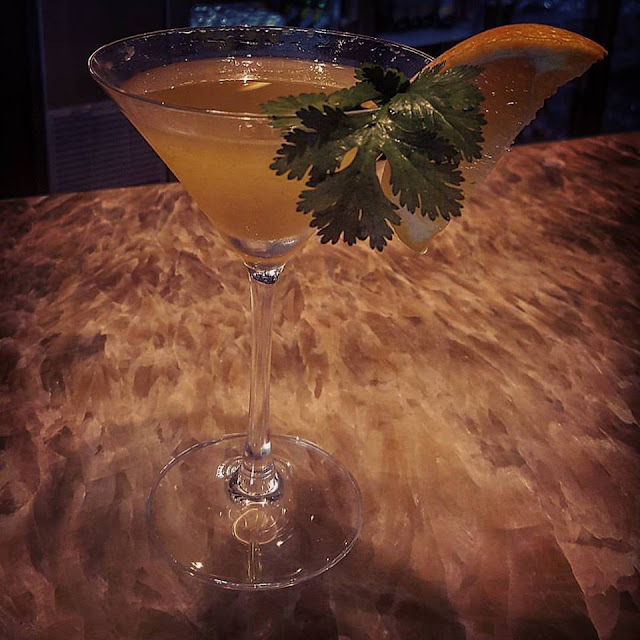 Shanghai Bell - Yet another nonalcoholic gem, this drink provides a perfect balance between bell pepper which complements the lemon grass, galangal, and basil. 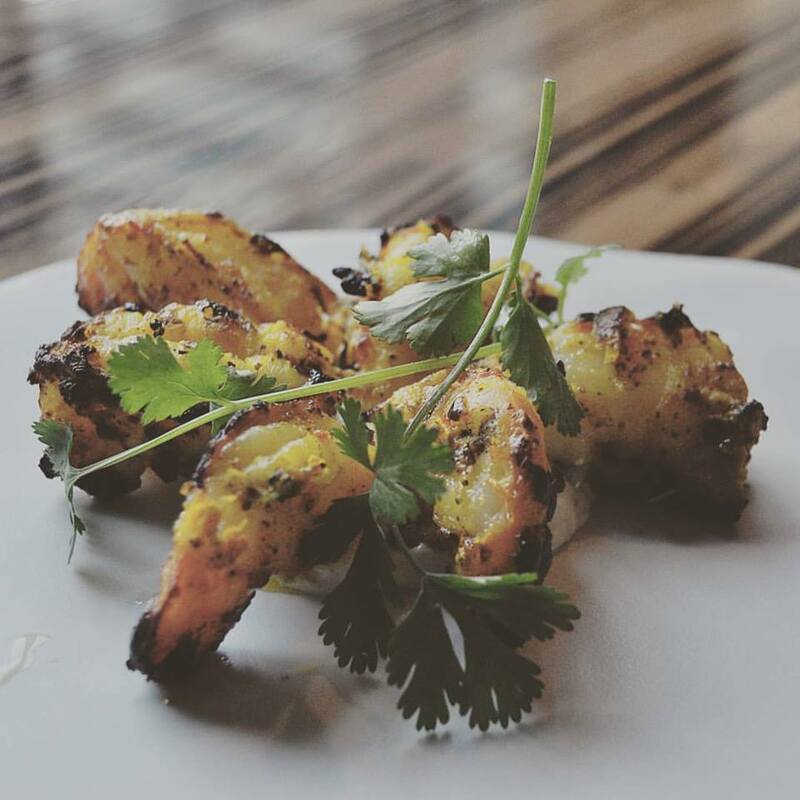 Offers a European touch to the much needed Asian soul! The food at Pling further compliments your local tastes and aspirational dining desires and is made to suit the alcohol menu. 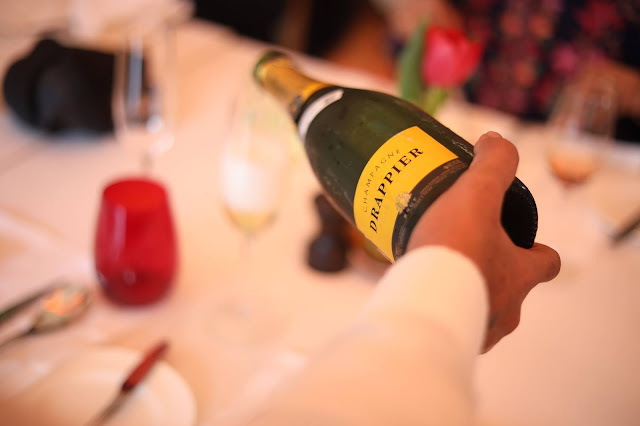 Credits for the curated menu go to two people primarily - Chef Ajay Anand (Chief Culinary Designer) and Chef Ashish Dhar (Culinary Designer and Chef In Charge). 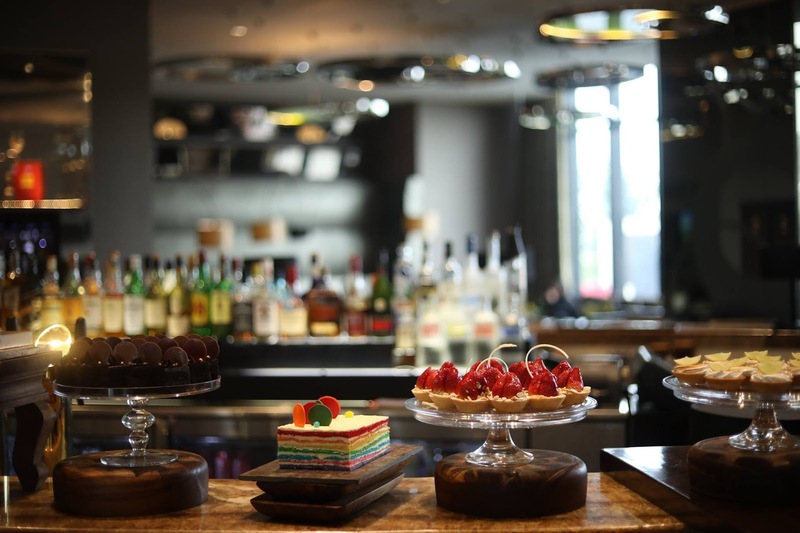 Pullman Tapastry, a tapas-style food concept, caters to a chic clientèle who enjoy exchanging ideas over a glass of wine and light sophisticated snacks. 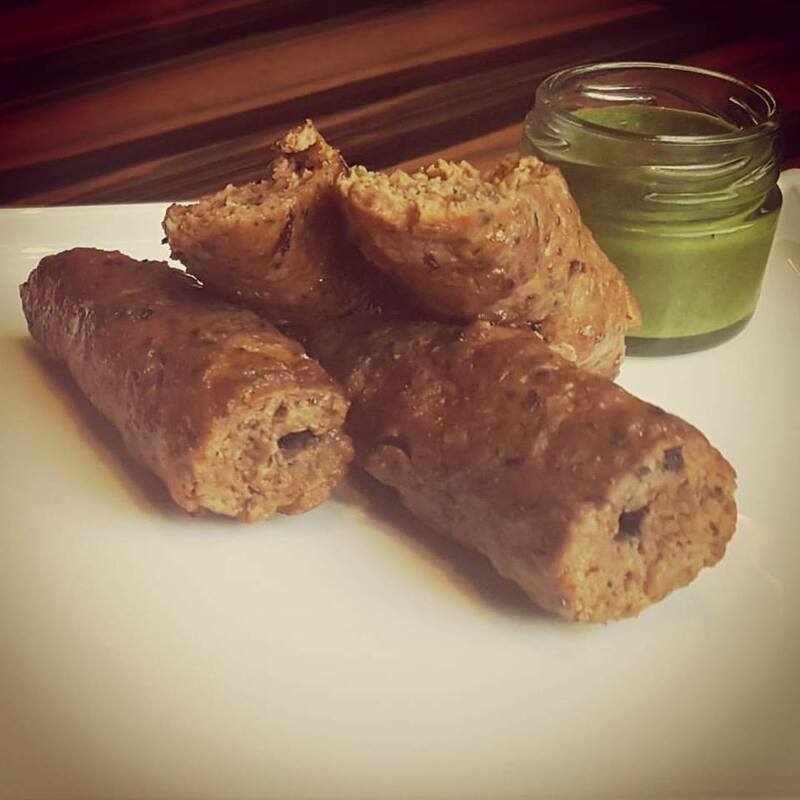 Signature dishes include Olive Chicken Tikka, Kasondi Ka Jheenga, Parmesan Mathi with Basil Yoghurt, Mutton Boti Tart with Caramelised Onion and Mint Relish. A selection of indulgent desserts is also available at Pling. My favorites include the Dark Milk Chocolate with dark caramel, candied macadamia, warm malted caramel, and milk chocolate mousse. If you're someone who looks for desserts sans chocolate, try the Hazelnut Praline with a flourless hazelnut cake, gianduja mousse, orange curd, and praline ice cream. Pling's fashionable, upbeat atmosphere makes it the ultimate venue for winding down with friends or associates in the evening. Your favorite lux-lounge is nominated this year for the Times Food and Nightlife Awards in the category of 'Best Bar - Luxurious Nightout'. 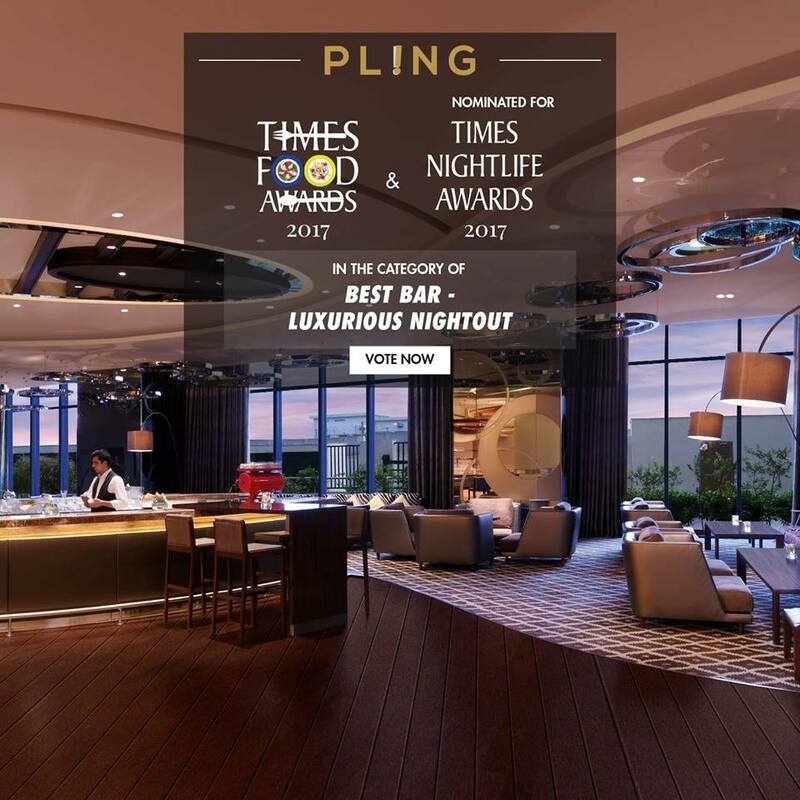 Log on to http://bit.ly/Vote4PLING to make Pling the best in town.